WEDNESDAY, Jan. 24, 2018 (HealthDay News) — Medicaid expansion under the Affordable Care Act has led to more timely surgeries for patients, a new study suggests. “In this study of nearly 300,000 patients in 42 states, we found that expansion of Medicaid coverage was linked to increased insurance coverage for these patients,” said study author Dr. Andrew Loehrer. “But even more importantly, Medicaid expansion led patients to come to the hospital earlier before complications set in, and they also received better surgical care once they got there,” said Loehrer. He is a clinical fellow of complex general surgical oncology at the M.D. Anderson Cancer Center in Texas, and conducted the study while a research fellow at Harvard School of Public Health in Boston. “What was most striking was that we saw significant improvements in the treatment of surgical conditions fairly quickly, less than two years after states expanded Medicaid coverage,” Loehrer explained in a Harvard news release. The researchers analyzed data from patients nationwide who were admitted to hospitals for one of five common surgical conditions both before and after the Medicaid expansion that was part of the Affordable Care Act (ACA), also known as Obamacare. The patients were in 27 states that expanded Medicaid to include more low-income Americans, and 15 states that did not expand the program. Medicaid expansion was associated with: a 7.5 percent decrease in the likelihood of patients being uninsured; an 8.6 percent increase in patients’ likelihood of having Medicaid; a 1.8 percent rise in the likelihood that patients would seek care earlier; and a 2.6 percent increase in patients’ chances of receiving the best possible care. Earlier treatment for conditions that require surgery means patients are more likely to have better outcomes, the researchers noted. The study was published online Jan. 24 in the journal JAMA Surgery. 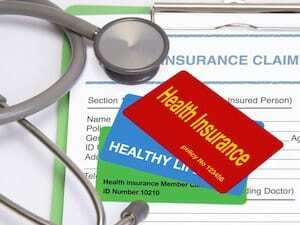 The U.S. Centers for Medicare and Medicaid Services has more on Medicaid.